As we have written in our previous article, Helio Host gives fully free cPanel enabled hosting service. We have Chosen Helio Host for this tutorial to install WordPress but it will be same for free web hosting or other free and paid web hosting to Install WordPress. Updated on 19th November 2015 : This is an old article. We do not monitor the old articles. Check our recent articles. You need no difficult work in 2015-16 era. Most PaaS are free, like RedHat OpenShift. Installing WordPress on RedHat OpenShift is a matter of click. Also, there are lot of cheaper cloud servers now. At One Pound per month, you’ll get 1GB server from ArubaCloud. Helio Hosting doing a great job by providing free web server, but unfortunately, most users who are seeking for free web hosting are newbies and have almost no knowledge how to handle a server from cPanel or Install WordPress on it. We are NOT affiliate of Helio Hosting. We are definitely promoting WordPress, a beautiful Open Source CMS, so that every one in this Planet can have his / her own website or blog. There are many talents, who because of limited budget can not run a server or can not continue to pay the server and Install WordPress. Also, it can be a great choice for small non profit organizations to Install WordPress and run. So, this is a full guide on how to install WordPress without shelling out a dime. You have to decide whether you will use the free domain name provided by Helio Host or buy a Domain Name before hand or after you Install WordPress. Though, it can be done before or after the Install WordPress process. But, in our opinion, decide it before creating the account on Helio Host and Install WordPress. We will show how to Install WordPress on free Domain Name provided by Helio Host. The Steps to Install WordPress using a custom domain name is the same, except, you have to Edit the Name Servers to Helio Host from your Domain Register’s account. If you want to use a custom domain name after, you can ask Helio Host support. After few months of using a server with cPanel, you will get used with all these things and you can Install WordPress just as we are doing within few minutes. 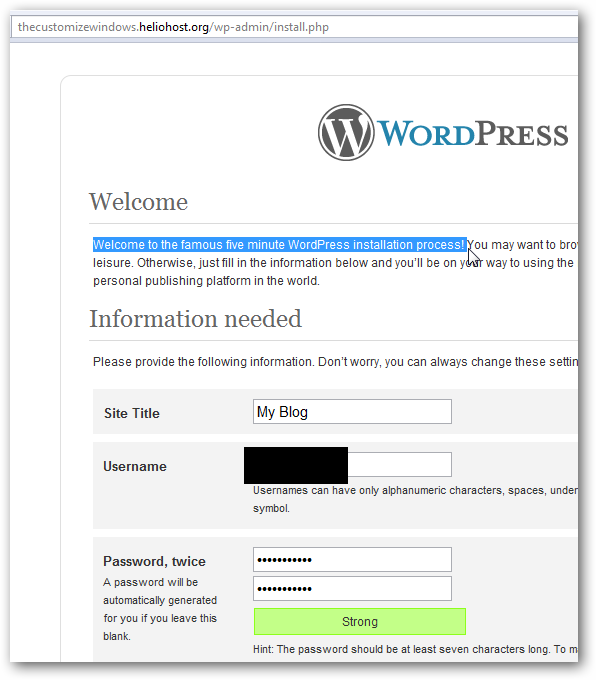 You can write how to Install WordPress in your blog yourself by then! You might like to use a FTP software like FileZilla. After receiving the confirmatory email from Helio Host, You will be able to log in to the cPanel within 24 hours and will be able to Install WordPress. You will see a 404 error page still the server is not ready to Install WordPress. You can not Install WordPress until it has been resolved. It can take up to 48 hours, sometimes it takes 2 hours sometimes 5 days, but usual is within 48 hours. You must have received the invitation email from Helio Host with a URL link to the cPanel. This is needed to Install WordPress. Click that link to open in a standard browser like Opera, Google Chrome, Safari or FireFox. We will show you how to use the cPanel and Install WordPress using Opera. After the download is complete, you have to unzip it as the first step to Install WordPress. 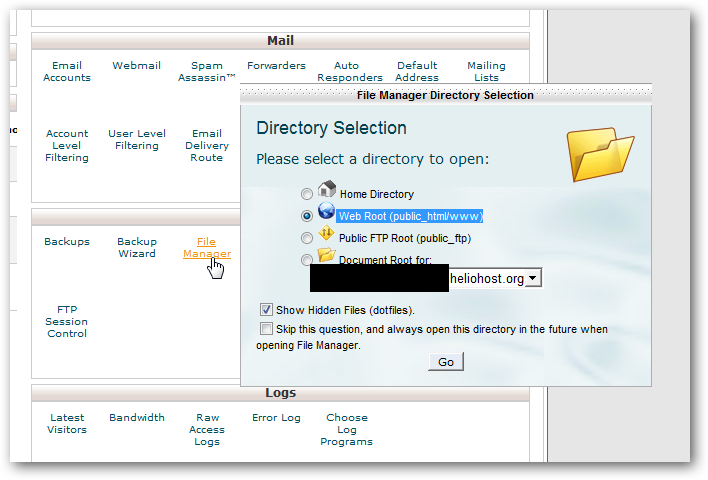 Now, open a text editor like notepad and keep it minimized, go to your cPanel now (in browser). 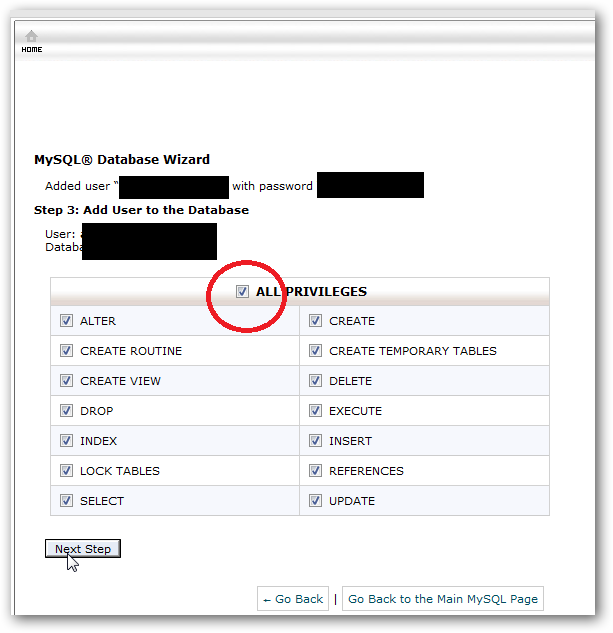 Under Databases list, you will see : MySQL® Database Wizard. Click it. In the next step, you have to give it a name, use anything you like and click the next step button. Copy the line “Added the database your-custom-name_you-gave-the name.” and paste it on your Notepad or the text editor you are using. Save the text file with some name like “MySQL Details”, keep it minimized. 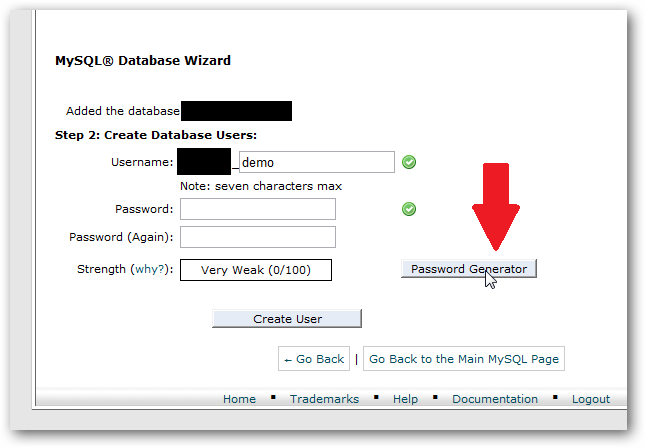 Again go to cPanel (we were about to create the MySQL® Database), give a user name and copy it to your notepad, use the password generator provided in cPanel to create a password. Copy it and use it. Change the database_name_here, username_here, password_here to that you have copied in your Notepad. Save it. Close it, again open it and recheck if they are correct. Close it. Now, rename that wp-config-sample.php to wp-config.php …done! We are ready to install WordPress. 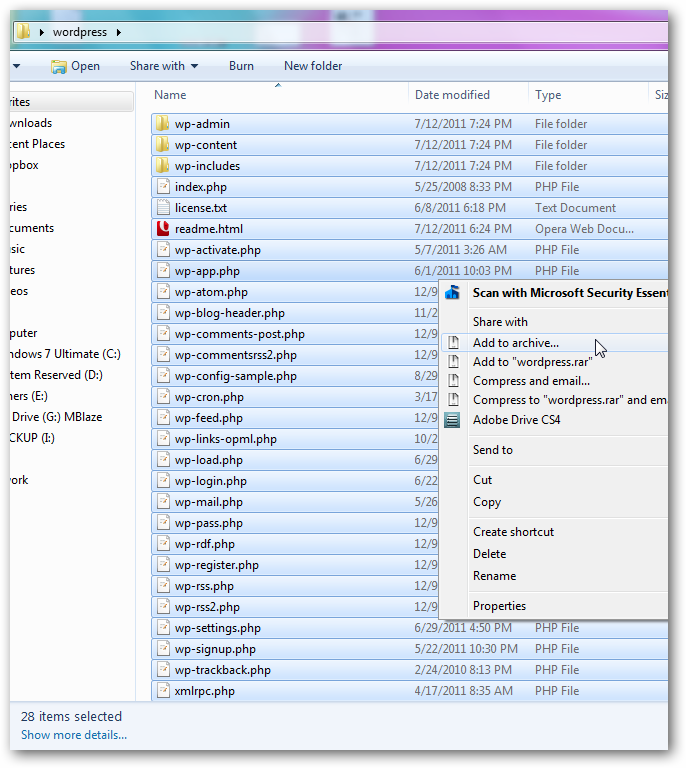 Note : This method to install WordPress will able you to access your blog from the domain name in browser : like you can open our blog by typing thecustomizewindows.com ; if you want to Install WordPress as thecustomizewindows.com/blog ; then zip the full WordPress folder, instead of the files. Another Window will open, keep everything as default, hit the upload button, locate that WordPress.zip (that you have edited and zipped), it will automatically start to upload. When it will say (right bottom) : C:fakepathwordpress.zip: 3.74 MB complete then you can click back to home link. 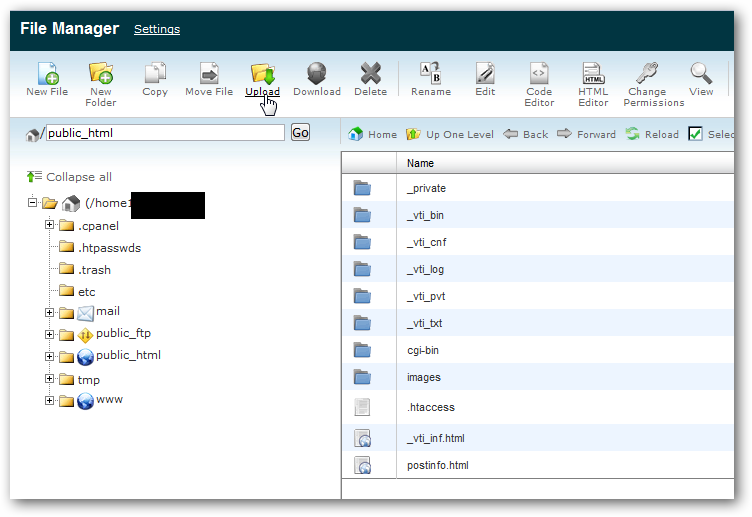 Go to File Manager, refresh if needed, you will see your WordPress.zip is in the root, click to select and click the extract button from the top panel. Keep everything default and it will be done. What to do after I Install WordPress? You will get full guide on various articles on this what to do, what not do when you Install WordPress. Akismet is installed when you Install WordPress, get free api and activate it. You might use some SEO Plugins written here after you Install WordPress. You can use Socialize Plugin after you Install WordPress and start blogging. Must : Take full backup after you Install WordPress, plugins and begin writing. BTW, Almost all Plugins are Free listed here and can be installed from the dashboard. This Article Has Been Shared 8509 Times! VPS For WordPress as a Hosting serves the purpose of a dedicated server at a fraction of a cost.VPS Hosting has lot of tricks and traps which should be avoided. Cite this article as: Abhishek Ghosh, "Install WordPress on Free Web Server Helio Host : Step by Step Guide," in The Customize Windows, August 29, 2011, April 21, 2019, https://thecustomizewindows.com/2011/08/install-wordpress-on-free-web-server-helio-host-step-by-step-guide/.